I am a Professor of Informatics and Computer Science at the Indiana University School of Informatics, Computing, and Engineering, and a member (and former director) of the Center for Complex Networks and Systems Research. 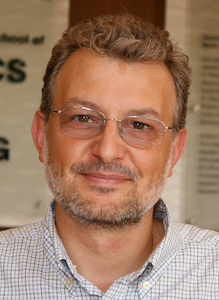 I also have courtesy appointments in Cognitive Science and Physics, serve on the advisory board of the IU Network Science Institute (IUNI), and am a Fellow of the Center for Computer-Mediated Communication, a Senior Research Fellow of the Kinsey Institute, and a Fellow at the ISI Foundation in Torino, Italy. Research in my group, NaN, spans computational social science, network science, Web science, and data science, with a focus on analyzing and modeling the spread of information and misinformation in social networks and detecting and countering the manipulation of social media. We also study social computing, Web search and data mining, and science of science. My calendar is a bit crowded. You may schedule an appointment with Tara Holbrook, our center’s coordinator. Or you can try your luck by Doodle MeetMe, email, phone (+1-812-856-1377), or in person (Informatics East room 314). Prospective students interested in joining my group, NaN, should look at this advice before contacting me. Then, if still interested, they should apply to one of our PhD programs: Informatics (Complex Systems track), Computer Science, Cognitive Science, or a combination. Check out the new NSF-Funded Interdisciplinary Training Program in Complex Networks and Systems! I am usually unable to respond to inquiries from prospective students unless they have already been admitted to one of these programs. 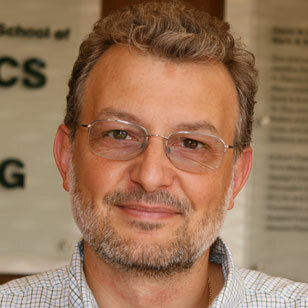 Filippo Menczer, a professor of computer science and informatics at CNetS, appeared on a panel of experts to discuss the emergence and dissemination of misinformation, and how it threatens society at the annual meeting of American Association for the Advancement of Science in Washington, D.C., Feb. 15.